To demonstrate the concepts in a natural environment, the Natural Resource Center operates a 3,000 square foot facility deep in Russell Forest Preserve. It is equipped with a large classroom, a workshop, a laboratory and observation windows looking over bird and mammal feeding areas. 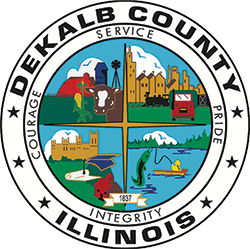 The DeKalb County Forest Preserve District and the Natural Resource Education consortium operate programs for area children and adults throughout the year.